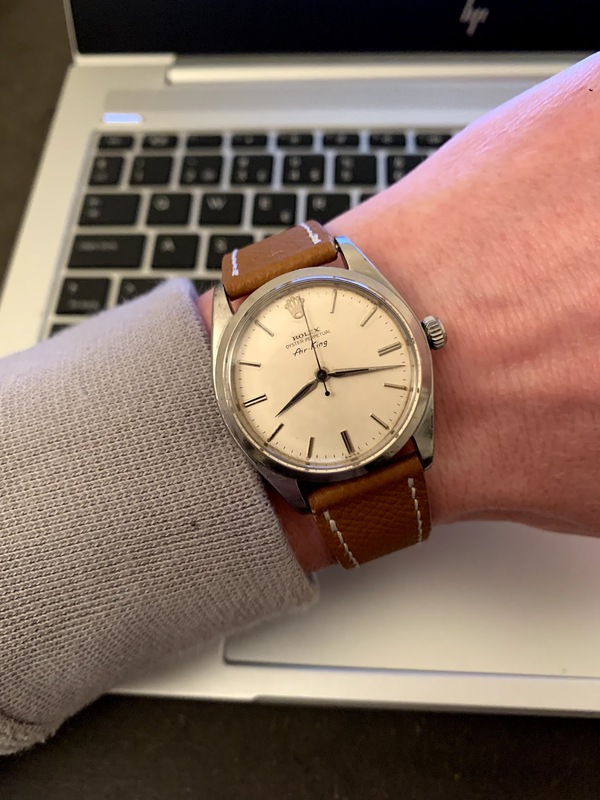 FS: Vintage Rolex Air King - just 1950 euros! Up for sale is - perhaps - the cheapest vintage Rolex tool watch? Rolex Air King ref. 5500 with beautiful Dauphine hands and ‘non-precision’ SWISS only dial. The watch is from the start of the 60s. It was purchased from a Swedish vintage dealer and has been serviced and got a brand new plexiglass and new gaskets. The watch has a slight discoloration at. 1-2. Could indicate some corrosion, hard to spot with the naked eye. 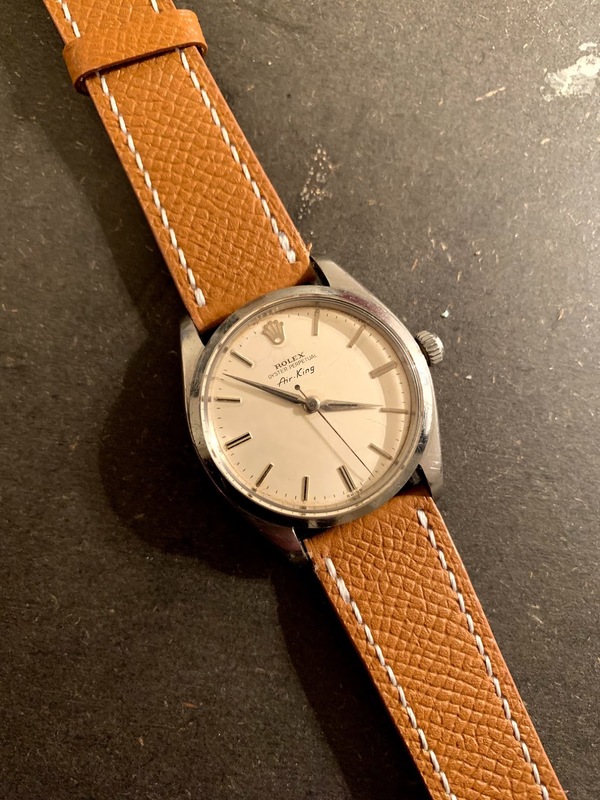 Re: FS: Vintage Rolex Air King - just 1950 euros!